Cavanagh Family Funeral Homes has provided funeral and cremation services to families in the Media area for more than 100 years. As a family owned and operated funeral home, we focus on serving all our families with the individual attention and care they deserve. We understand this is a difficult time and we are here to make things easier. Know that you are in good hands with our professional and experienced staff. We will ensure no detail is overlooked. At Cavanagh Family Funeral Homes, we believe in telling each story to celebrate one’s life. When you choose us, you are able to select from a variety of options with added personalization that will honor and reflect your loved one. We will cater to your needs whether you want to include a music tribute in your funeral service or would like to add a video with your cremation service. We have the expertise and resources to provide you with a memorable service at an affordable cost. At Cavanagh Family Funeral Homes, we own and operate our own private, onsite crematory so you can know that your loved one is safe and never leaves our care. If you are interested in cremation, be aware that not all cremation companies are equal. Some companies outsource their cremations to third parties. At Cavanagh Family Funeral Homes, we follow the Cremation With Confidence Guarantee, at 10 step process ensure your loved one’s remains are the remains you receive. Cavanagh Family Funeral Homes has a location in Media, PA on Baltimore street. We serve families from Media and services all the surrounding communities. If you have an immediate need or would like to contact us, please call us at (610) 566-3400. Our professionals are available 24/7 and would be more than happy to assist you or answer any questions about the services we provide. 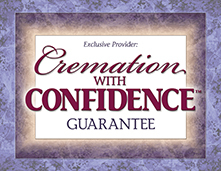 You may also fill out our preplanning forms to plan a funeral or cremation service the way you would want. The attention to detail and the kindness we were shown was extremely valuable during this difficult time. This to me shows how much the staff understands your situation. My wife and I were provided with impeccable service. It felt as if we had first class service. The time the staff spent to make sure nothing was overlooked showed me just how much compassion and expertise they have for their job.